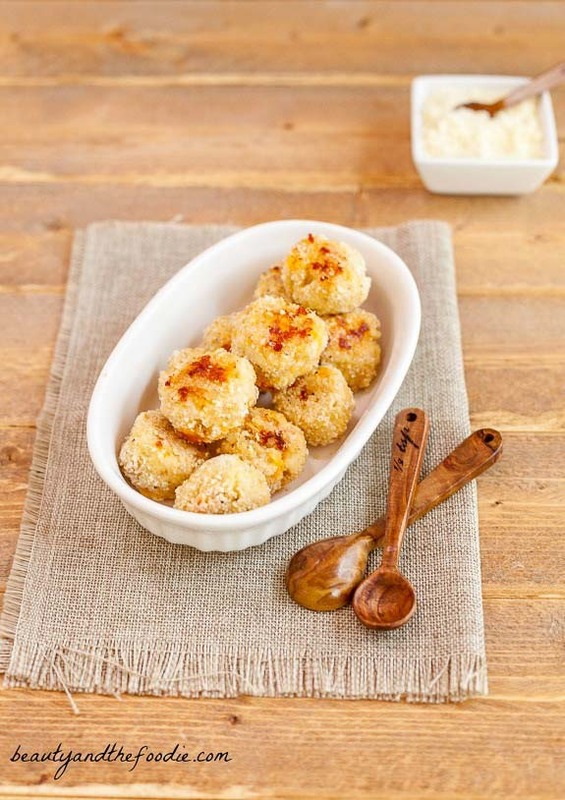 These easy cheesy baked tuna balls are a simple low carb, gluten free snack recipe that rocks! 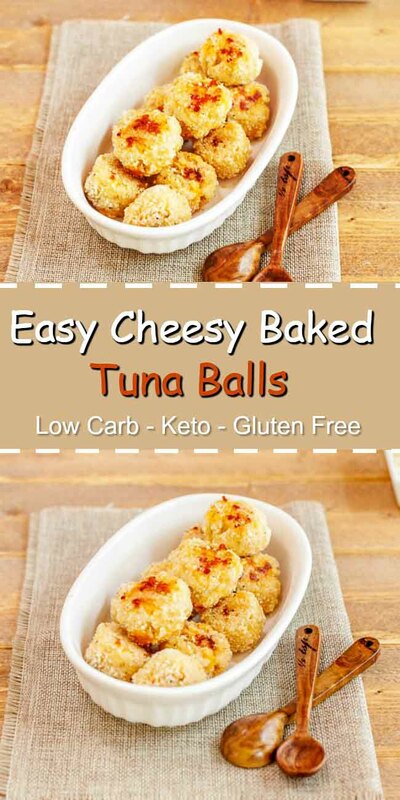 Easy Cheesy Baked Tuna Balls are an easy, very tasty, low carb, gluten free & grain free snack. Made with tuna, cheeses, spices, and rolled in a low carb breading and baked until crisp. 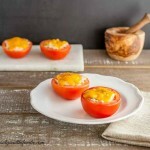 I was planning on serving these with a dip, but they were just so darn good plain, that my family ate them before I could make a dip. Oh well, next time maybe. 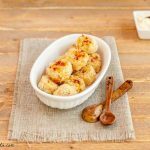 They make a perfect snack or appetizer that everyone will love. Preheat oven to 400 F, and use the tbsp oil to grease a baking sheet. In a large mixing bowl combine all the tuna ball ingredients except for the oil and coating ingredients. Mix thoroughly. In a separate medium size mixing bowl combine all the breaded coating ingredients. mix together thoroughly. Take a tbsp of tuna mixture and roll into a ball shape with hands. 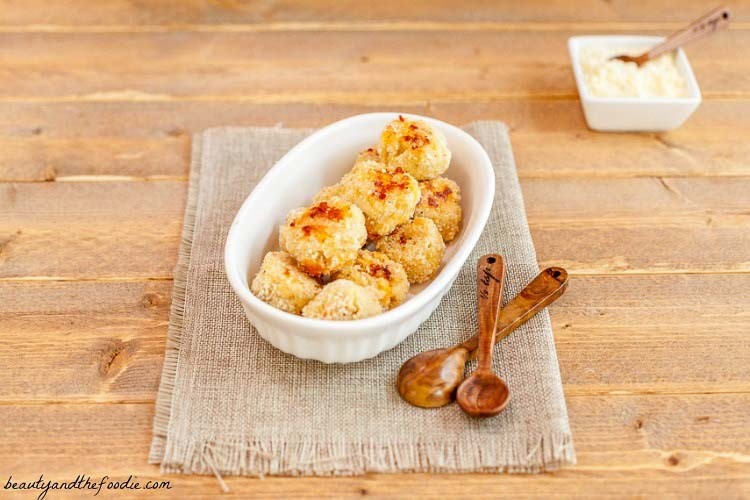 Roll tuna ball in the breaded coating mixture to cover and place on oiled baking sheet. Once done rolling and coating tuna balls, bake for 14 minutes until lightly browned, turning over halfway through cooking time. Nutritional Data : Yield: 12 balls, Serving Size: 3 tuna balls, Cal:180, Carbs: 2 g, Net Carbs: 1 g, Fiber: 1 g, Protein:14 g, Fat: 13 g, Sugars: 0 g.
Barbara, I have not tried freezing these before, but I would think if you wrap them well, then they could be frozen and reheated in the oven. I’m totally out of almond flour, but I’ve used sunflower seed flour as a substitute. Just grind some roasted sunflower seeds in a coffee grinder to make your own. Don’t over grind or you’ll have sunflower butter, LOL. 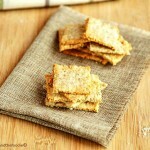 Jan, I make sunflower seed flour too, it is a great nut free option. Out of flax meal- any subs? Looks so yum!! Petra, you could use ground chicharones (pork rinds), or low carb bread crumbs. I’m lovin’ these! !! 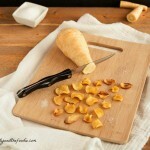 So easy to make and everyone wants the recipe. Thanks Stacy! Thank you so much Marsha for trying the recipe and your kind words 🙂 Glad it was a hit. Dana, that is awesome. It is colder here, but I’m not complaining, as I can’t handle extreme heat. Toaster oven is a good idea. Is it a convection one?